Volunteers are the lifeblood of many not-for profit organisations in Australia. These benevolent soldiers give their personal time to help others without thought of reward; yet sadly their experiences are not always positive. The State of Volunteering Report 2015 prepared by Volunteering Australia and PricewaterhouseCoopers Australia (PwC) revealed that many volunteers often feel undervalued and overburdened by their responsibilities – largely due to a shortage of resources and support. Interested in learning how great functionality leads to great onboarding? Check out our latest whitepaper by completing the form below. The National Standards for Volunteer Involvement (National Standards) were launched in 2015 by the peak volunteering body Volunteering Australia as a means to address many of the issues outlined in the report. These standards represented a renewed commitment to best practice in volunteer management, and raised the bar for organisations with a volunteer workforce. The standards provide guidelines for attracting, managing and retaining volunteers, and to improve the overall volunteer experience. They recognise the significant contribution volunteers make towards an organisation’s achievement of strategic goals and objectives, and urge organisations to: engage volunteers in more meaningful activities; adequately equip and support volunteers to perform their roles; and find ways to recognise and acknowledge the work they do. The standards address 8 key areas. To be recognised as a best practice organisation by Volunteering Australia, leaders and managers must be able to show evidence that they have implemented effective onboarding practices for volunteers. 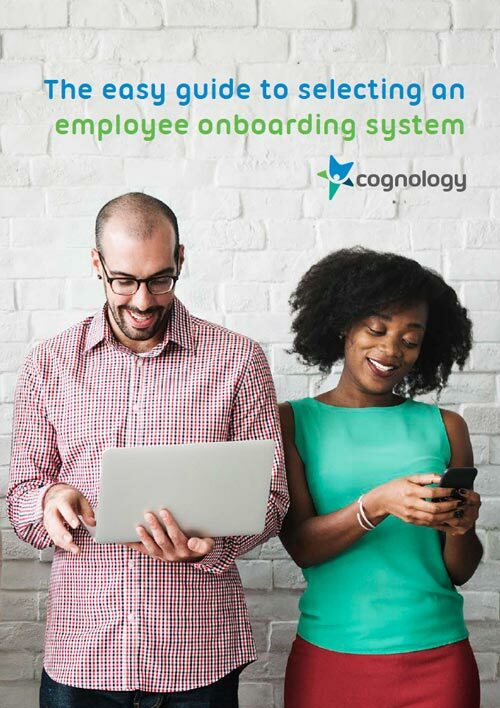 As discussed in Cognology’s Whitepaper The Easy Guide to a Great Onboarding Process onboarding is an ongoing, interactive process made up of a series of formal and informal training coaching, information sharing, goal setting, feedback, networking and social interventions. When planned and tailored specifically for each new volunteer, onboarding ensures volunteers have greater clarity around their responsibilities, understand the organisation better and are equipped with the skills and knowledge to complete their tasks. With a higher focus on organisational culture and relationships than traditional orientation and inductions, onboarding also ensures volunteers are fitting in and working well with employees and other volunteers. Offering 24/7 remote and mobile access to online training and resources. A configurable reporting capability to share regular updates on volunteer performance with key stakeholders. It is not mandatory for organisations to comply with the National Standards. However there are significant benefits to be gained by compliance. A more formalised approach to volunteer management can increase stakeholder confidence in a not-for-profit organisation and improve the chances of funding or sponsorship for new initiatives. And with a more engaged and better performing volunteer workforce the organisation will also reap the rewards of increased productivity and operational efficiencies. But most importantly, organisations that implement the guidelines provided by the National Standards will be contributing to a better experience for Australian volunteers and better outcomes for the people they serve.